The first semester of the MArch option three program is comprised of three tightly-related courses that present core concepts in architectural design and prepare incoming graduate students for the Master of Architecture program. These are: an introductory graduate studio (ARCH 200a) instructed by a rotating cohort of faculty, a seminar on the history and theory of architecture (ARCH 270) instructed by Greg Castillo, and a seminar on representation and digital media (ARCH 200c). As I often instruct both the studio course and the representation seminar in this semester, I am responsible for a significant portion of this critical first semester of the graduate program at UC Berkeley. These two courses, so tightly related with overlapping assignments that I list them together here, comprise two-thirds of the required credits in this critical first semester of the graduate program. ARCH 200a is the anchor of the semester, and the relationship with ARCH 200c is critical to its success. 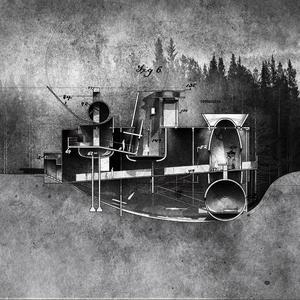 As a design studio that focuses on a synthesis of techniques, methods, and conceptual approaches to spatial and structural thinking in architecture, the course is typically comprised as a series of design exercises that progress in complexity over the course of the semester. These exercises are very often sequenced as a cascade that build upon one another - In 2016, for example, the operations explored by Balloon Animals are later applied to Animal Skins in service of an envelope design which then serves as the basis of Animal House. 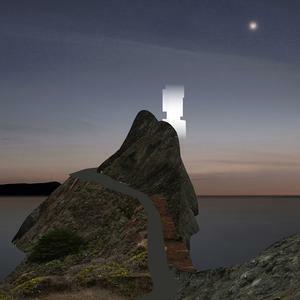 These design exercises may also be bound to assignments in the ARCH 200c representation seminar - In 2015, for example, the site of the final studio project for a Cinematheque at Point Bonita served as the muse for two digital media exercises focusing on fabrication and animation. Beyond this relationship between ARCH 200a and 200c, ties are also been established with the ARCH 270 history and theory course. A single extended project serves as the platform that bridges the often disparate concerns of design, theory and representation. In collaboration with Greg Castillo, I have developed a recurring project titled Powerpoint of Departure, which helps students to develop an approach to the rhetoric of architecture and the communication of design ideas through the preparation of a number of visual / verbal presentations. In the years I have instructed these two courses I have enjoyed the privilege of working with a range of co-instructors and collaborators, each of which is listed on the project pages below. These include Mark Anderson, Jay Atherton, Andrew Atwood, Greg Castillo, Raveevarn Choksombatchai, M Paz Gutierrez, and Ronald Rael. While the structure of the ARCH 200a design studio is somewhat loose, with the specific exercises responding to rotating cohort of instructors, the structure of the ARCH 200c representation seminar has steadily evolved over time, clearly delineating those topics that remain consistently relevant to introductory design from more topical concerns. For those interested in the nature of ARCH 200c, I offer here an exerpt from the course syllabus. Perhaps more than any other professional culture, architects enjoy the application of an enormous diversity of representational devices in the practice of their art. From the rich tradition of graphic projection to the latest experiments in parametric design software, architectural designers are constantly inventing new techniques, reconfiguring their personal application of traditional methods, and liberally appropriating the procedures of related disciplines. Is this fascination with design process and diversity of design method simply a fleeting preoccupation of our profession, or does it reflect a deeper utility? An exploration of this question quickly leads to a more fundamental one: why do architects draw? What is the act of design, and what role does representation play to help shape and guide it? While opinions differ on this subject, Donald Schon offers us a helpful viewpoint in his characterization of design as a "maker's conversation with the materials of a situation". By this, he means that design intelligence does not stem from a prior intellectual operation, but rather arises from spontaneous, tacit processes in action. Following Schon, we may understand design less as a problem-solving activity, and more as a problem-setting one: less about a pre-defined procedure and more about a conversation. Armed with this nuanced viewpoint on the cognitive structure of the design act, it becomes clear why architects are so invested in drawing methods: we have come to value representational strategies not only for their inherent properties, but also for the cultural framework built up around them. We may notice this in way architects often personify the artifacts of design production, speaking of what a drawing is "saying", or noting that a model "wants to be" some other way. Far from a preoccupation with method for its own sake, drawings and modes are valued in design for their utility in sparking conversations: both metaphorical conversations between makers and materials and real conversations between stakeholders in the process of design. Rather than focusing on what drawings do for us, architects tend to value representational techniques for what they do to us. Beginning with the idea of design as an act conversation, this course is structured as an introductory survey of the vast field of representational material and tactics available to the contemporary architect. While not an exhaustive account, this survey aims to define the contours of this terrain in broad strokes and to equip students to navigate their own way through it. This course will present the following pedagogical goals that address three distinct levels of representational practice in architectural design. We aim to foster a development of an awareness of the social and cultural context of representational practices, a proficiency in the technical canon of architecture, and a capacity for the appropriate application of representational techniques. Become familiar with a range of existing representational practices, and describe the specific 'windows' they offer onto design. Articulate how each of these practices have historically been deployed in order to stake out distinct authored design positions. Place new or experimental design methods within this critical and historical context. Demonstrate a basic competency in canonical drawing and modeling techniques. Follow the commonly understood architectural conventions in order to produce a clear, concise, legible, and complete description of a proposed design. Display a high degree of fluency in a specific subset of representational methods, selected as most relevant to an area of focus within the discipline. Carefully and willfully pair questions encountered during design problems with representational methods that position you in an advantageous way. Courses in representational technique often find their roots in vocational skill-training, and are often organized in a linear fashion: basic foundational techniques anticipate more advanced ones, such that the semester unfolds in a way that implies a single sequential process of design. This one-way stream, often referred to as a "workflow", is inherently at odds with the way designers have come to see and describe their own process, where principles of cyclical iteration, non-linearity, and two-way conversation are emphasized. In contrast to the linear workflow approach, this course seeks to introduce design methods in a way more sympathetic to the act of designing. The course is organized into several modules, each framed as a drawing practice appropriate for particular situations you are likely to encounter as a designer. For each of these topics we should keep in mind the three pedagogical goals described above. We should ask: what windows does this practice allow onto the our designs, and which does it deny? Which qualities or concerns are easy to represent, and which are more difficult? What assumptions are built into the techniques most often employed in these situations, and are they appropriate to the design problem at hand? While care has been taken to organize modules in a way that will compliment and encourage your growth as a designer, it is important to keep in mind that they are not conceived as sequential - neither moving from simple techniques to complex ones, nor moving chronologically through an imagined design workflow. As discussed below, evaluation of student performance in this course is carried out through a combination of problem sets, exercises, projects, as well as participation in in-class discussions and critiques. Each of the modules described below may constitute a multi-week concentrated session of the course, and will proceed through lecture, discussion, workshops and drawing assignments. Each session includes at least one lecture wherein a drawing practice is introduced alongside a discussion of foundational concepts and common uses in practice. A selection of optional readings are presented at this time that support the ideas presented in the lecture. The next few sessions are skill-building workshops led by GSIs intended to instruct students on the canonical skills and techniques associated with the module. Not all of these modules are covered in each incarnation of the course, as the particular subjects that align with ARCH 200A changes from year-to-year. Listed here are a number of sessions that have been offered in the past. For an account of those modules offered this year, please review the schedule of this year's course. A history of the development of architectural drawing through the perspective of The Projective Cast, by Robin Evans, alongside a discussion of how this history remains relevant and influential in contemporary practice. Hardline hand-drafting techniques and various methods of graphic projection will be introduced. A wide survey of contemporary uses of diagrammatic techniques, both in the service of analysis and as the basis of design. We will discuss the utility of the map and the diagram both in systematically dealing with complexity and in finding instruments that offer novel solutions to architectural problems. Two-dimensional computer drafting, vector graphic, and raster image techniques will be introduced. Contemporary approaches to computational geometry will be discussed in the context of architectural design. We will consider the dominant framework of moving from point to line to surface geometries, the utility of this framework, as well as its shortcomings and alternatives. Three-dimensional surface modeling techniques will be introduced, along with the conversion of these models to conventionally correct architectural plans, sections, and elevations. Here we will discuss the tension between the phenomenological experience of architecture and perspectival-based representations that often proceed, and claim to transparently embody it. Ray-traced rendering techniques will be introduced as well as tactics for post-processing and collage. Just as the practice of descriptive geometry has been radically transformed by computational techniques in the past few decades, so this transition into the information age has impacted the domains of manufacturing and fabrication. Here we introduce drawing practices developed in order to aid in the negotiation of constraints related to processes of fabrication and construction, and that draw close connections with rapid prototyping. Parametric modeling techniques will be introduced. In this project - a collaboration between design studio, representation, and history courses - students develop an approach to the rhetoric of architecture and the communication of design ideas through the preparation of a number of visual / verbal presentations. In this third and final assignment, students design a house - a house that emerges from a manifesto that suggests the house, as an architectural typology, while having its origins in many different environments, also has its origins in humankind's understanding of a particular plant or animal. 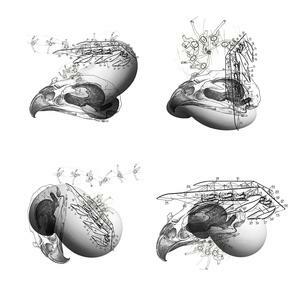 Through an understanding of a chimerical translation of a selected animal, students make design proposals that defend the thesis of a manifesto by proposing the skin, material and structure (endo/exo skeleton), as well as the form, space and ordering system that comprises the house. Each such 'animal house' occupies a particular ecology that is hot, cold or humid, and responds to this context as well as to light and the absence of light. The house, as would an animal, also has some relationship to air, land, or water, which should inform the siting of a house. The initial assignment of this studio manifests as a chain of design operations that introduce techniques, strategies, and themes that echo across the semester. Through acquiring competency in the sort of operations that architects use in the conceptualization of their work, we can begin to understand architecture as a practice-based discipline, and come to the realization that it is not through rumination, but 'only through an operation that an architect can exercise a design decision'. This project articulates interior and exterior space through the exploration and design of *a system of enclosure, a thick skin*. A central premise that underlies this project is: the essential characteristics and conditions of 'a whole' reside in a representative cut, 'a slice', of a body/building at its perimeter. Focusing on both building a proficiency in the technical canon of architectural practice, and offering students an opportunity to develop a capacity for appropriate application, this project examines the notion of a 'standard set' of documentation drawings related to an architectural project. What are the standard pieces that are capable of carrying any project forward, and what sort of drawings are unique to individual projects? This project proposes the development of a case-study that serves to guide the work. This project articulates interior and exterior space through the exploration and design of a system of enclosure, a thick skin. A central premise that underlies this project is: the essential characteristics and conditions of 'a whole' reside in a representative cut, 'a slice', of a body/building at its perimeter. The design of space in architecture requires establishing decisions of interior and exterior spatial logic. For this process, delving into the architectural section as a means of representation and as a tool of design exploration is critical. For this reason, the investigations of this assignment involve sectional analysis with a focus on the role of ratio as a spatial and material logic. An initial 'operational' project that manifests as a series of related operations that introduce strategies and themes that echo in the projects to follow. Here we consider two bodies, one human and another inanimate, as the generators of a proto-architecture. The first is a simulation of a human body, perhaps one similar to our own, which is examined in motion and in terms of dimension, proportion, and expressive gesture. The second is an inanimate body which, while lifeless, possesses its own anatomy nonetheless, and is able to receive the imprint of the expressive forces that give it form. This project proposes the development of a case-study set of representations that serve to guide the work of the digital media seminar through a number of in-class and at-home exercises. Working both individually and in pairs, students develop a range of representations for a precedent work of architecture. 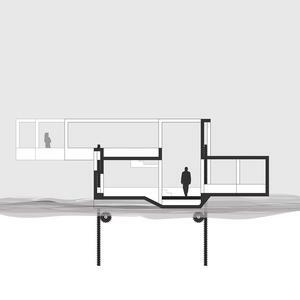 A project instructed in collaboration with Andrew Atwood and Maria-Paz Gutierrez, and in relation to ARCH 200c. Here, students begin with an analysis of site through a series of diagramming exercises. These exercises ask students to select issues related to the context of their site that they value as important or interesting, and ultimately impact how they design their houses. 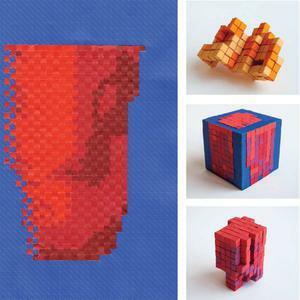 In this 'warm-up' representational exercise, students apply a range of techniques related to orthographic projection, digital modeling, fabrication, and rendering. Plaster forms cast in a flexible latex media form the muse for representational exploration in a variety of media. Note that this project was instructed in collaboration with Andrew Atwood and Maria-Paz Gutierrez. In this final design project for the semester, the setting of a design agenda is turned over to the individual student, who is free to lend conceptual primacy to any of the approaches discussed thus far. Even though each student may choose to emphasize a particular set of issues as the primary driver for the design process, it is still necessary to engage all of the issues: including site and environmental context, program requirements, material and construction methods, as well as space and form. For some, architecture begins with space itself. From this point of view, the value of a design may be found in the way in which formal structures are employed to demarcate space with a nuanced ambiguity, and in an attention to how space and form are perceived on an elemental level. This project adopts this formal point of view, and moves through digital 3D mapping, folded paper models, orthographic projection, and finally arrives at a design proposal responsive to the specific conditions of a given site and program. For some, architecture begins with an understanding of the influences of site, inhabitation and event. Here, value may be found in the ability for a design to enable a particular performance in relation to its setting, and in the adherence of a design to an abstract description of experience. Systems of notation take center stage here, as students study the conflicting forces of site and program through a series of layered drawings and maps. For some, architecture begins primarily through working within the logic of the material from which it is formed. Those adopting this approach find value in the capacity of a design to express the natural demands of the materials and process that enable its realization, find beauty in the spatial capacity of these material demands, and find inspiration in a designer's ability to test the limits of the material logic. This capstone project for the representation seminar seeks to provide students an opportunity to get acquainted with CNC and rapid-prototyping processes while producing models for their final design in studio. Using a combination of fabrication processes and machines - including CNC milling, laser cutting, and 3d printing - students produce a large-scale model constructed of materials of their choosing. No part of the process nor experience of architectural design is static. And yet, architecture is most often represented in fixed forms - drawing, rendered images, and physical models. This capstone project for the seminar course seeks to capture the ephemeral, diagrammatic, and time-based elements of architecture that are often difficult to represent in traditional drawings and models. In this 'warm-up' drawing exercise, students apply a range of techniques related to orthographic projection, and demonstrate a competency in the depiction of three-dimensional space and form through surface rendering in two dimensions. In this brief project, students explore the tectonics of a precedent work of architecture through three-dimensional modeling and two-dimensional drawing of assembly details and processes. Having already explored a range of 'design departures' in previous projects, this final design project turns the definition of a design agenda to the student. Here, students are free to engage the project giving conceptual primacy to any of the approaches discussed previously, including form-driven, site-driven, and material-driven approaches. For some, architecture begins (and ends) with space itself. This project adopts a formal point of departure, and moves across graphic analysis, two-dimensional collage media, and three-dimensional studies. Here, students identify specific formal and spatial characteristics, and distill these structural characteristics into an abstract language able to be transferred to architectural design. For some, architecture begins with investigating influences of site, inhabitation and event. Starting with diagrams of the dynamics of site and program, students seek to discover and define the performance of an architecture that synthetically resolves and mediates these often conflicting forces, opportunities and objectives. For some, architecture begins primarily through working within the logic of the material from which it is formed. This design exercise focuses on two building/material systems: cast-in-place concrete built via a negative form-work, and wood timber framing with steel connectors and components. Each student explores the spatial consequences of the wide array of the use of these means of formation in architecture. Distinct tectonic material approaches are researched, discussed and developed. 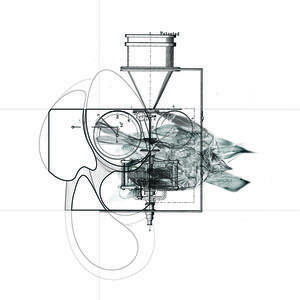 A modestly-scoped project in which students explore both parametric modeling and computer-aided manufacturing processes in the context of the construction of a sectional model based upon a 'tectonic folly' developed in the context of their studio course. A short exercise in which students explore the descriptive conventions and capacities of computer-aided geometric modeling. First displaying a basic competency in canonical 3d modeling techniques, students then aim to move beyond these techniques to carefully and willfully deploy visualization techniques to achieve a particular formal result. A short 'warm-up' exercise that introduces students to the tenets of plan, section, elevation, perspective and axonometric, and establishes a basic proficiency in orthographic projection. Whereas previous to this final project, the course explored a range of 'design departures', in this final design project, the setting of a design agenda is left to the individual student. While students must address the position taken in their manifesto project, and adhere to a set of practical requirements, they are otherwise free to engage the project through any of the approaches of previous exercises. For some, architecture begins with space itself. 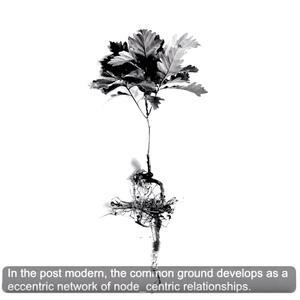 This project adopts a formal point of departure, and begins with an analysis of an image taken from nature. 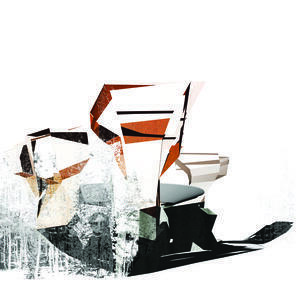 Working through two-dimensional collage media, students identify formal and spatial characteristics inspired by this image, and distill these into an abstract language transferable to architectural design. For some, architecture begins with the opposing influences of site, inhabitation and event. Here, a point of departure is adopted based on notation, mapping, and event. The project opens with the development of diagrams of spatial and temporal dynamics, and quickly leads to a design proposal shaped by these forces. A short exercise intended to offer students a vehicle to develop graphic skills and techniques directly applicable to their studio work. As a response to the specific challenges of designing for a highly topographic landscape, the learning objectives are first, to hone skills in 2d orthographic representation, and second, to develop competency in the three-dimensional modeling of architectonic elements set in relation to a natural topography. A 'warm up' that introduces students to the general methodological pattern adopted by the projects that follow. Through this exercise, students demonstrate a basic proficiency in orthographic projection, analytical methods, and design through iteration. In this exercise, students test the limits of orthographic projection and descriptive drawing, and seek to depict space as formed through what Brian McGrath and Jean Gardner describe as 'matter-flux', a term that brings to mind the dynamics of space and occupation.